"Extremely pleased with the mirrors, would buy again from this company"
"Just the job for my caravan, good quality. Thanks"
"Great product and great price." "Can't tell the difference in the reflection from a glass mirror. 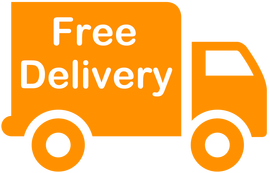 Would buy again"
"Nice safe item for children's bedroom - fast delivery - Many thanks :)"
"Great item, rapid delivery. Highly recommended." "Excellent item & fab price. Perfect for the playroom"
"Great service and product. Thanks A++++++++"
"Arrived really quickly - well packaged :)"
Anti-shatter perspex mirrors are a safer alternative to glass in the bathroom. Great for splash backs or on cabinet doors. Our tiles also resist misting better than glass and don’t rust.